As stated on our Firm Overview page, Chad Elder and Brian Good have combined their experiences and skills as a former Medical Board litigation lawyer and a seasoned board defense attorney to provide the highest quality legal representation to attorneys. If you are an attorney in Kentucky or Ohio, Elder & Good, PLLC is prepared to defend your license during Board investigations, formal disciplinary actions, appeals to courts of law and criminal prosecutions. Why should an attorney hire an attorney to defend his or her license? If you are under criminal investigation or charged with a crime, would you represent yourself? If you were the subject of a civil lawsuit, such as a legal malpractice action, would you represent yourself? A prudent attorney would retain an attorney with experience and expertise in those areas of law. If your license to practice law and your livelihood were in jeopardy due to an investigation or disciplinary action by the KBA or the Supreme Court of Ohio, would you represent yourself? Do you possess the requisite objectivity to effectively represent yourself when it is your license at risk, including recognizing the strengths and weaknesses of your case? Do you have administrative law experience? Do you know how to conduct a formal administrative hearing or what evidence is admissible in an administrative hearing? Have you ever negotiated with a Board attorney regarding an appropriate outcome of a grievance or disciplinary complaint? Do you have experience in discerning a great resolution of a Board investigation or action from a poor resolution? Are you familiar with the collateral consequences of certain agreements and resolutions, such as the impact an agreement could have on an out of state license or additional state license that you may hold? Are you familiar with the proactive steps you can take during a licensure investigation to avoid formal disciplinary action? In short, an attorney disciplinary investigation or proceeding can be every bit as complex and adversarial as a criminal action or a civil lawsuit. While it is tempting for attorneys to believe that they can effectively represent themselves, very few individuals have the knowledge of administrative law and the requisite objectivity to do so when it is their license on the line. If you are an attorney whose law license is under investigation in Kentucky or Ohio, it is imperative that you consult with a license defense attorney immediately upon being contacted by a Board or agency representative. Of course, the same holds true if you are contacted by law enforcement pertaining to a criminal investigation. You should never make any statements to a Board or agency investigator, law enforcement officer or other government agent without an attorney. We strongly advise you to respectfully decline a meeting, interview, or telephonic conversation or to provide a written response to an inquiry without retaining a lawyer. Should you retain Elder & Good, PLLC to represent you, any questioning or exchange of information will go through us. When you contact Elder & Good, PLLC at the onset of a Board investigation, we are able to guide and defend you through the entire disciplinary process. We can assist attorneys during board investigations in several ways. We will deal directly with board attorneys and investigators and handle all correspondence and communication with them. We also will obtain and evaluate the evidence against our clients, assess the strength and weakness of the evidence, collect important documents that may be vital to mounting a defense and, most importantly, attempt to ward off a formal board complaint. It is important to be proactive during a Board or agency investigation for several reasons. First, demonstrated flaws in the allegations, certain defenses or mitigating circumstances can sometimes result in the complete dismissal of a grievance or informal Board action. Second, attorneys will expend less money on legal fees and expert witnesses if a favorable resolution can be reached during the investigative stage. Third, attorneys can avoid the common costs of reimbursing a state board for its costs of successfully prosecuting a case. Of course, there are cases that simply cannot be resolved during the investigative stage. Moreover, in some instances, an attorney who is the subject of a Board investigation fails to retain an attorney until after a formal board complaint and/or emergency restriction or suspension already had been filed against his or her law license. In such situations, Elder & Good, PLLC has no reservations about joining a case in midstream. Elder & Good, PLLC is well equipped to defend the license of an attorney under scrutiny by the Kentucky Bar Association or the Ohio Supreme Court for drug or alcohol abuse, dependency or addiction. Whether you self-report or someone else reports you to your Board or licensing agency, you need strong and effective attorneys to defend your license immediately. The bottom line is simple: if you are suspected of alcohol or drug abuse, dependency or addiction your law license is at risk. If you are considering contacting the Kentucky Lawyers Assistance Program (KYLAP) to self-report a chemical dependency issue or you have been referred to KYLAP by a third party, it is important to consult with legal counsel prior to discussing the matter with KYLAP. We also would urge you to consult with legal counsel prior to submitting to a chemical dependency evaluation. If you are subject to the treatment directives of KYLAP, we will work with you and KYLAP to effectuate the right approach to your issue, whether you are seeking reinstatement of your law license, modification of a Board order or preparing to defend against an impairment issue. Often, an impairment issue involves illegal or forged prescriptions or acquisition of illegal “street drugs.” This conduct can lead to criminal investigation by law enforcement agencies, prosecution and incarceration. It is important that you consult with an attorney with experience in criminal matters to mitigate the professional and personal impact of a criminal investigation or action. By making immediate contact with law enforcement, Elder & Good, PLLC has warded off criminal convictions, negotiated lesser charges and mitigated the impact of criminal convictions on their clients’ licenses. 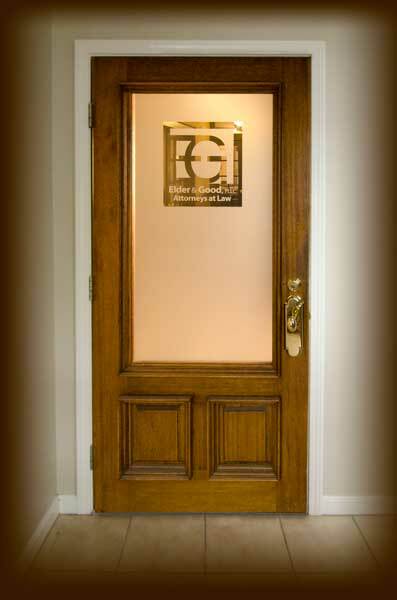 Elder & Good, PLLC is prepared to defend your law license. Contact us to learn more.